When you’re planning a meeting that requires travel, or you just want to know whether to carry an umbrella tomorrow, it’s useful to have the weather show up right in your calendar. Microsoft Outlook has a built-in feature that shows you the weather for the next three days. Here’s how to turn it on. 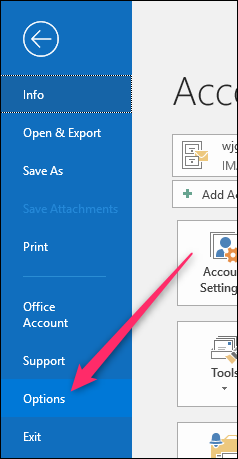 In Outlook, click the “File” menu and then click the “Options” command. In the Options window, switch to the “Calendar” category on the left. On the right, scroll down to the bottom of the panel and enable the “Show weather on the calendar” option. 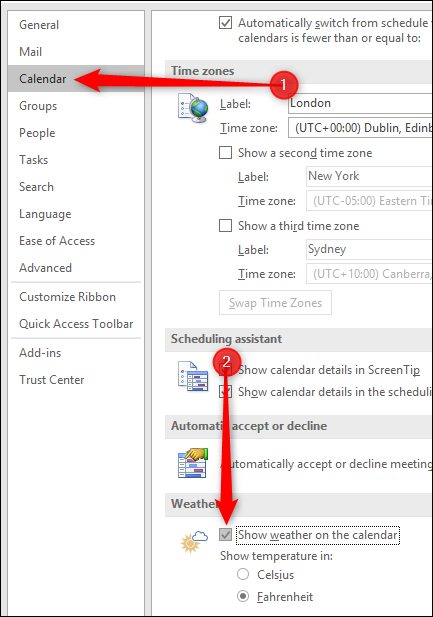 Click “OK” and then open the calendar in Outlook. You’ll see the weather displayed above the calendar. Add your location of choice—we’re going with London—and Outlook will provide a list of options that match whatever you type. We want London in the UK, so we’ll select that. Now, you might not know this, but London’s quite a big place. In fact, at 607 square miles, it’s twice the size of New York’s 303 square miles, and the weather can vary quite a lot in 607 square miles. 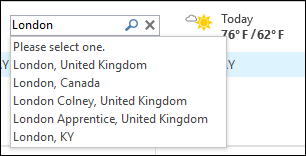 So instead of seeing “London, United Kingdom,” Outlook shows “Westminster, United Kingdom,” which is an area right in the center of London. 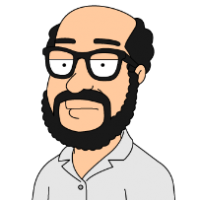 If you want a specific part of a big city like London, such as Croydon, you can type that instead but be warned that not every part of a large metropolis will have its own weather report. If you want weather for “the Bronx” you get Melrose, but “Manhattan” brings back weather for Manhattan (presumably because Manhattan is almost half the size of the Bronx).